CAPTAIN JACK SPARROW (Johnny Depp). The dreadlocked, ring-and-bangle-bedecked buccaneer of dubious morality and personal hygiene, is either the greatest or worst pirate ever, depending upon who is offering their opinion. 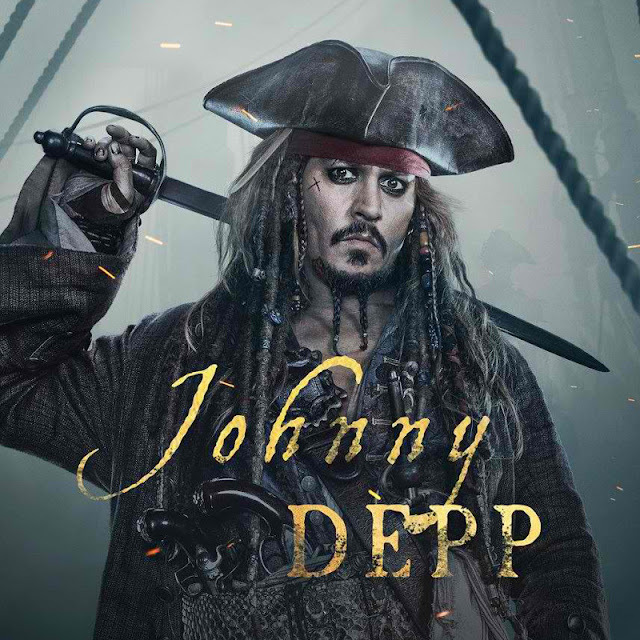 With his beloved Black Pearl still encased in a bottle and down on his luck, Captain Jack is about to face even more dire circumstances, which will call upon all of his considerable wiles to survive, when he is pursued by his deadliest enemy yet, the ghostly Captain Salazar. CAPTAIN SALAZAR (Javier Bardem). The fearsome Captain Salazar, at the helm of his ship, the dreaded Silent Mary, is known as “El Matar Del Mar” (“The Butcher of the Sea”). 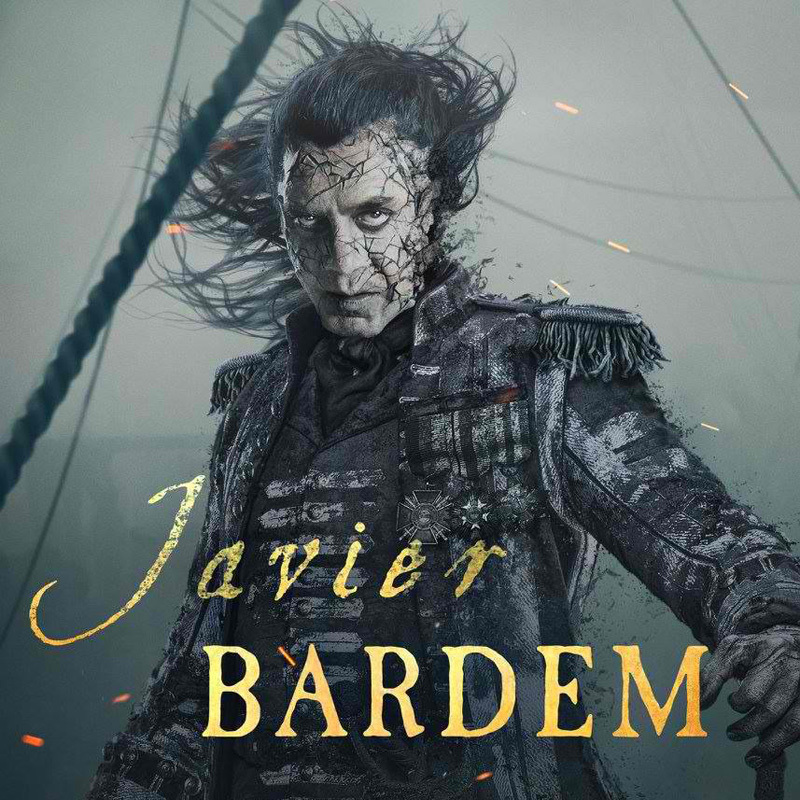 With his terrifying crew of the undead, Salazar rids the Caribbean of pirates with demonic ferocity—not only because of his loyalty to the Spanish Crown, but also because of a particular vendetta against one pirate in particular—but he always leaves one man alive to tell the terrifying tales. 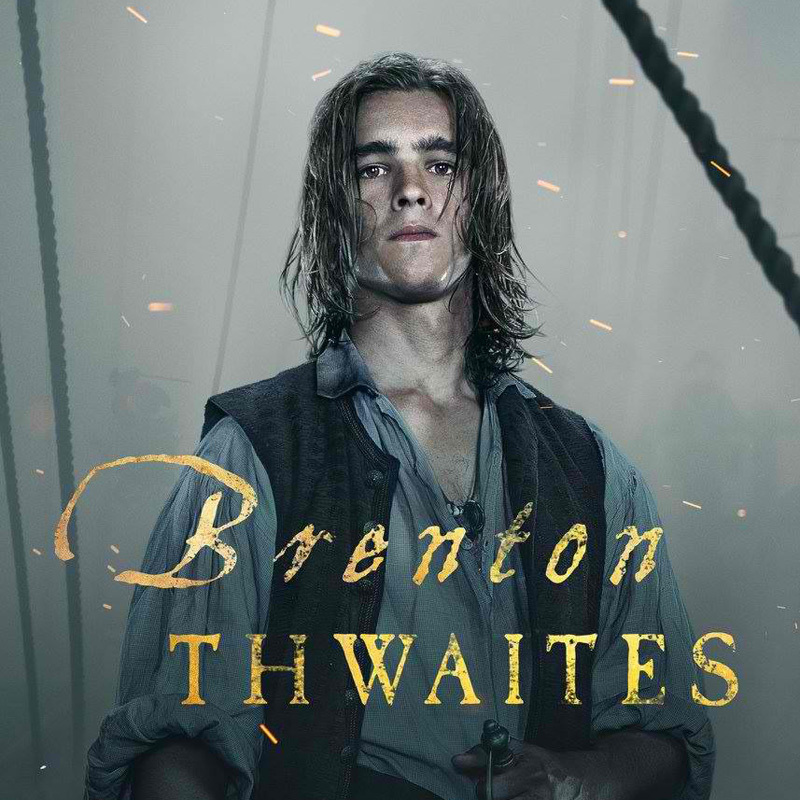 HENRY (Brenton Thwaites). A handsome and spirited young sailor in the Royal Navy, Henry is sailing the seas in desperate search of the Trident of Poseidon, the one object which can free his father from an eternal curse. 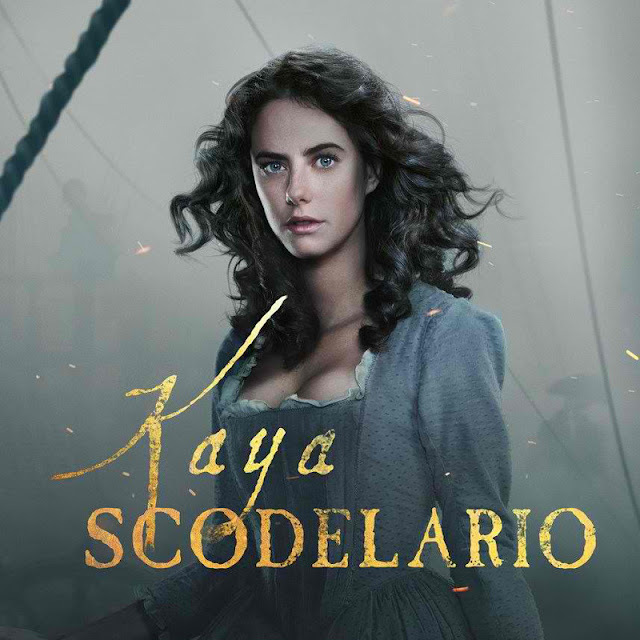 CARINA SMYTH (Kaya Scodelario). Carina is a brilliant and strong-willed young mathematician and astronomer, whose beauty is more than matched by her intelligence and fortitude. Rather than swords or daggers, her “weapon” is Galileo’s Diary, left to her by a father she’s never known, a guide to the stars which may become a vehicle to the greatest treasure of them all…one which carries all the power of the seas. GIBBS (Kevin R. McNally). The ever-loyal first mate to Captain Jack Sparrow…except when he’s not…Mr. Gibbs can still be counted upon to hurl himself bravely into a fight (especially when it’s to his benefit), or be the first to find the rum. SHANSA (Golshifteh Farahani). A mysterious and powerful sea witch, Shansa is gifted with uncanny abilities and is often called upon by pirates and sailors alike to help turn the tide against their enemies. SCARFIELD (David Wenham). A military martinet to the core, Scarfield is ruthless in his determination to carry out his orders to the letter, even…or especially…if it means executing his enemies. SCRUM (Stephen Graham). If brains were the true measure of a man, Scrum would be even more diminutive than he already is. Hardly the sharpest sword in the scabbard, Scrum makes up for his dull edge with a natural-born talent for music—and duplicity. 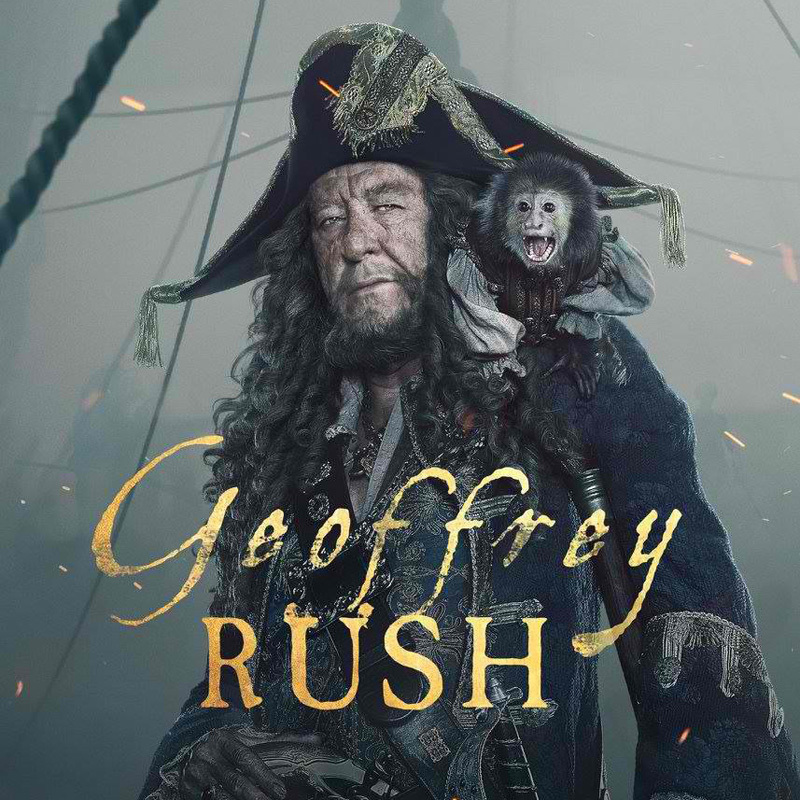 CAPTAIN HECTOR BARBOSSA (Geoffrey Rush). Unlike his fellow buccaneer Captain Jack Sparrow, Captain Barbossa has been enjoying the riches of a growing empire of piracy, having acquired both the Queen Anne’s Revenge and a mighty sword from the defeated Blackbeard. The shrewd Barbossa, a master of parlay and deal-making as well as a mighty swordsman, now finds himself in a dangerous alliance in a search for the Trident of Poseidon. The rip-roaring Pirates of the Caribbean: Salazar's Revenge finds down-on-his-luck Captain Jack feeling the winds of ill-fortune blowing strongly his way when deadly ghost sailors, led by the terrifying Captain Salazar, escape from the Devil's Triangle bent on killing every pirate at sea — notably Jack. Jack’s only hope of survival lies in the legendary Trident of Poseidon, but to find it he must forge an uneasy alliance with Carina Smyth, a brilliant and beautiful astronomer, and Henry, a headstrong young sailor in the Royal Navy. At the helm of the Dying Gull, his pitifully small and shabby ship, Captain Jack seeks not only to reverse his recent spate of ill fortune, but to save his very life from the most formidable and malicious foe he has ever faced. "Pirates of the Caribbean: Salazar's Revenge" is distributed by Walt Disney Studios Philippines.